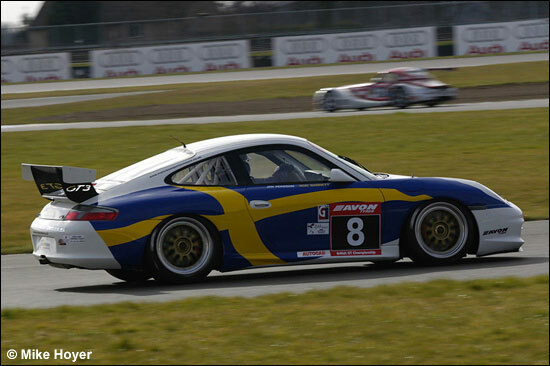 “It’s good to be back – I feel we’ve got unfinished business here,” was Rod Barrett’s view of the return to British GT of himself and Jan Persson, in a GTC class Porsche 996. 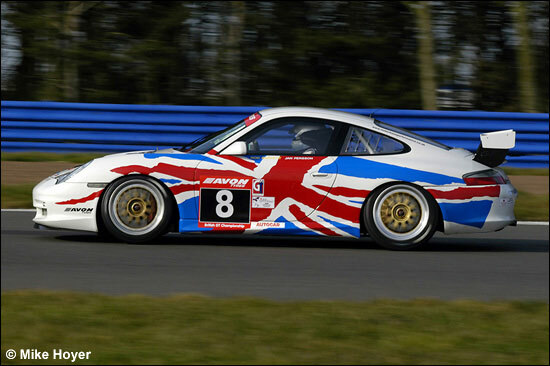 The pair had started 2005 in British GT, but took their BMW Z3 to Britcar after a handful of rounds. Two test sessions at Brands Hatch before the Silverstone media day have highlighted the differences between the Porsche and the pair’s previous front-engined mounts. Rod explained that he was having to get used to the left hand driving position, but was surprised by the handling of the car; “When you put your foot on the brake, it actually stops, and when you turn the steering wheel, it goes in the direction you want!” he enthused. Both agreed that, now with a competitive car, their ability would be the arbiter. “If we’re too slow now, it won’t be the car,” they echoed. What a fascinating livery for the #8 car - reflecting the nationalities of the two drivers.